A magic moves the day as if anything could happen. Perhaps it's the pulse of jazz in the air, or the rhythmic churn of the riverboats, or the warm winds that swoop the levee, but there's a hint of mystery surrounding us. Something has charged the marrow walled within my bones. Pay attention, it says. And so I do. Wow! 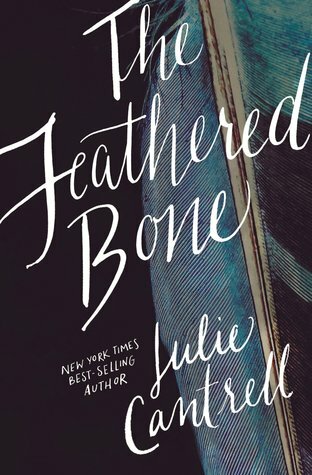 As I have just clicked the last page of The Feathered Bone by Julie Cantrell on my Nook, I sit here trying to process all the thoughts and feelings this book has caused to swirl within me. The only word I can come up with to sum up the depth of emotions and thoughts I'm left with is 'wow' yet that seems to be so lacking of a word for such a powerful story as the one Cantrell weaves. I knew going into The Feathered Bone that it was going to be a dark tale. With every page turned, with every new place the children visited, I waited, the anticipation building until the moment I knew was coming. And when it happened I felt literally sick to my stomach. For the first time, I thought I might not be able to precede with a book due to the physical illness it was causing. 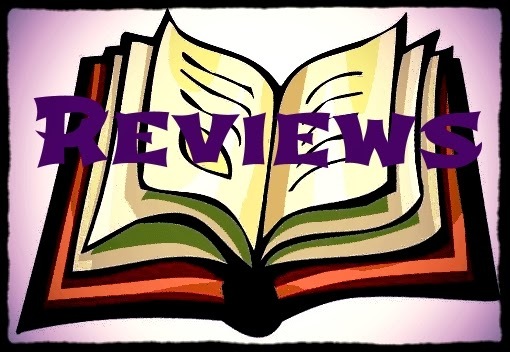 I have read a number of dark stories (I love Heather Hoffman and her series focused on human trafficking) so I was unprepared for the affect this story was having on me. I don't know if it was because days ago the story of the 2 year old boy being found dead broke in the news. Or if it played on my own fears of losing a child entrusted to my care in the midst of a crowd. I'm glad that I was able to pull through and continue with the story. I feel like my world has both been shaken as well as made to stand still by this book. Does that make any sense? Once Sarah disappears I wasn't sure if we would see her again. To be honest, part of me hoped not. I just wanted to get to the part of the story were everyone had to pick up the pieces and move on with life. I read these dark stories because I love to see how people deal with crisis, how such terrible things can happen yet they keep on living - makes my problems not look so insurmountable. Yet we do hear from Sarah as she writes letters to the sparrow at her window. And I have to tell you that her words are some of the most powerful ones in the whole book. You know what they say about faith of a child. As the adults struggle with their own faith in the midst of this tragedy here is the little girl living the tragedy yet holding fast to the truths she has been taught. And it is not just something to give her hope. In the middle of it all, where many of us would be cursing God for the injustice and abandonment, Sarah shows compassion for her captors. She knows she is loved and while she may bend she will never break. Though Sarah's abduction could clearly be the main focus of the book, it is not. Life goes on for her parents Beth and Preacher, for her chaperon Amanda, and others in her Louisiana town. And life is messy. Amanda is clearly a people pleaser in denial. She is a clinical social worker you has stood by other families as they experience domestic violence, abuse, suicide and more. Yet she won't admit what is happening in her own life. Like Amanda, I wonder what her life would have been like had she returned with both girls that day. Would she have continued to make excuses for her husband's behavior? Would she have continued trying to be the perfect wife and mother so that she deserved to be loved? The Feathered Bone is really the story of two women who have been caged by others. One a young girl who is tricked in to the cage and another an adult who does it out of love, a love that is never fully returned. I probably cried through a good half of this book. It was so incredibly emotional and Cantrell's writing fully immersed the reader into the story. The pain these characters faced have been faced by all of us to some degree. If I had to settle on one theme for The Feathered Bone it would be "Do you know you are loved?" This beautiful story isn't easy to read, but if you are willing to follow the path these characters are on you will be richly rewarded. I do not believe that anyone who reads The Feathered Bone will walk away unchanged. I'd be interested in continuing to read this one. Went to see what the blurb said and have put it on my wish list. Thanks for featuring it! This sounds like a gripping read - and the fact that you are still processing it is a good sign. Wow, sounds like a powerful story. Thanks for sharing. This sounds like an amazing book. I love books like this, even as they tear me apart and play on my anxiety. Sounds amazing! I love books that stir up my emotions. Sounds like an intense read.